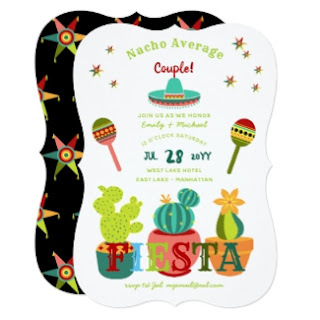 These are Nacho Average Fiesta Couple Shower Invites! 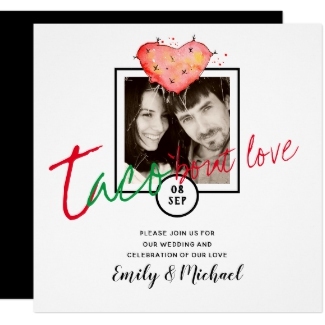 Zazzle, world leader in print on demand products not only offers great template fiesta couple shower invites for weddings (and new baby) but they offer custom design! 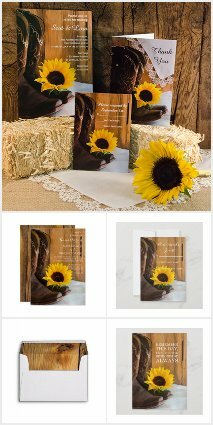 Many of the Zazzle designers are happy for you to request custom edits, matching items and may even create something from scratch! 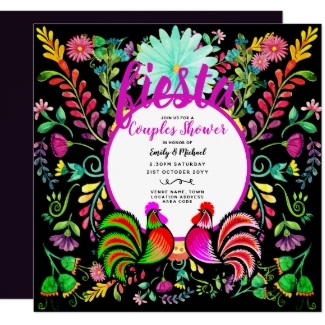 Enter ZAZZLE here or via any image/link and under the chosen fiesta couples invitation click on the CONTACT DESIGNER Tab. Alternatively, leave a comment here and as a designer myself, I will assist you. 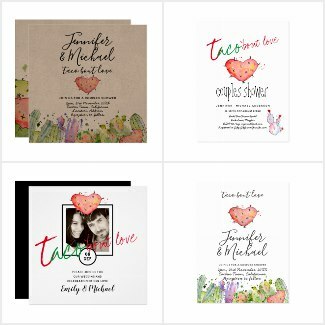 I have a wide variety of couples shower invitations including those with watercolor folk art style flowers, traditional cockrels and cacti, fun ones with Llama and various Mexican fiesta graphics and my more recent 'taco bout love' collection which includes some with a photo option. Page down for more great fiesta couples shower invitations by other talented designers. 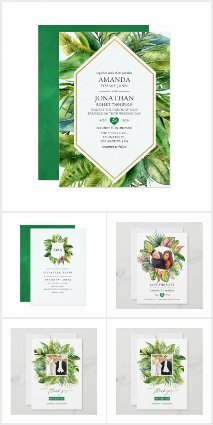 This kraft card invitation featuring watercolor cacti, succulents and the words 'taco bout love' is Kraft card but can be transferred to other card types and card sizes with different shaped edges. Lots of options! If you need any help editing your invitation just drop me a line. 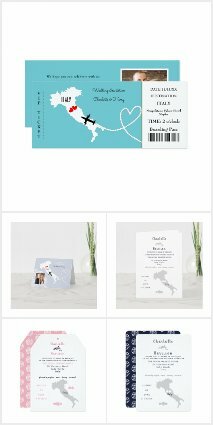 In my collection (above right) you will find new magnet save the date style wedding invitations which can be used for couples shower, bridal shower and other events as desired. This couples shower invitation features pretty watercolor flowers, two roosters (birds) and cacti. Modern handwritten and calligraphy style fonts. Modern fun fiesta themed party supplies and gift wrapping items with text template fields for you to personalize them. Decorated with pretty watercolor folk art style flowers and leaves and trendy modern handwritten typography. Minimalism is the theme of this fiesta couples shower invitation with modest watercolor floral arrangement, cockrels and cacti. Watercolor let's talk about love couples shower invitation designed to be quickly and easily customized to your event specifics. Amazon also do a massive range of fiesta couple shower invitations.